As a UX designer, we will need to get familiar with the essentials of user experience, from user research to wireframing to collaboration to designing a final product. 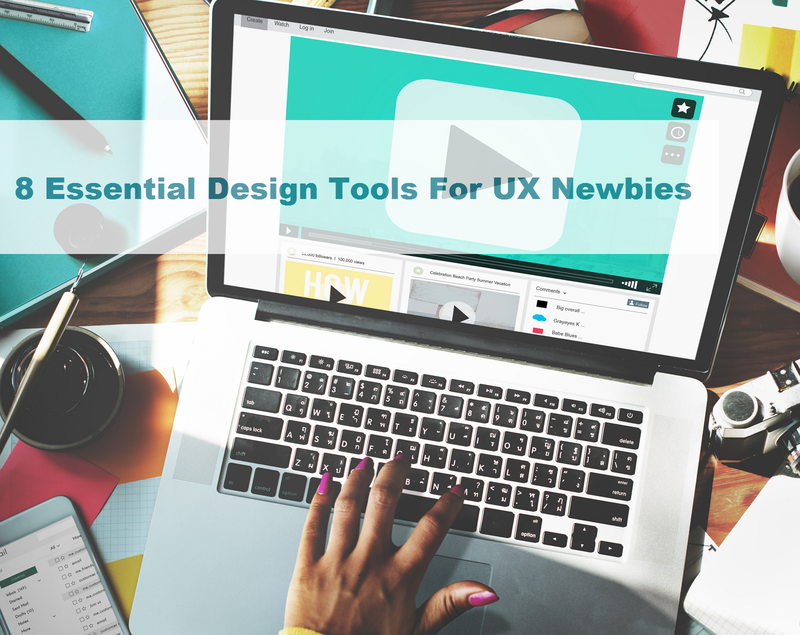 In this post I’m going to cover the UX design tools you’ll need for every aspect of your work as a UX designer, from beginning to end. Hopefully, it will simplify the way you work and make your lifer easier. Surveys and questionnaires are great ways to gather information. SurveyMonkey is one of the best provider of survey software. There is a free version available with limitations, but the free version is still a very handy tool and allows up to 10 questions per survey. SurveyMonkey is pretty straightforward and fairly easy to use. It allows you to select from many pre-written questions. For basic surveys, I think SurveyMonkey is a great choice. Usability testing is a technique used in user-centered interaction design to evaluate a product by testing it on users. Usability testing is the best way to understand how real users experience your website or application. Userlytics is a remote user testing tool that provides "Picture-in-Picture" videos of real people speaking their thoughts as they test and interact with websites, mobile apps and prototypes, including competitor assets. The service works for all types of digital applications, whether browser based, mobile apps, desktop applications, videos, emails, static images, etc. You can choose to have the participants provided to you, or you can source them yourself. You can also access experienced usability and user experience analysts to design your UX test and/or to prepare an executive summary report with usability and user experience recommendations. Wireframing tools make creating a website or application fundamentally easier. UX designers use wireframes and prototypes to create the products logic. It simplifies the communication between UX designers and clients and saves us much time on product development. 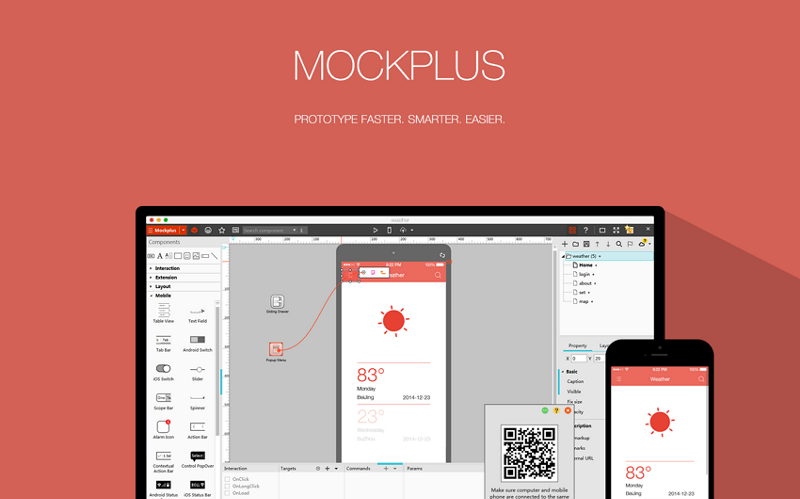 Mockplus is an excellent tool to prototype app and website. It can be used to prototype for mobile, desktop and web apps quickly. Building an interactive prototype with Mockplus is much easier compared to an old prototyping tool like Axure or Justinmind. The intuitive drag-and-drop UI makes it possible to start using the tool immediately. Even the first-time users can master it without having to go over tutorials and training manuals. If you are looking for a UX tool that is cheap and allows to create interactive prototypes in a minimum of time, I recommend using Mockplus. Communication is one of the critical skills of the UX designers. Want to improve communication with your team? Or work remotely but still stay in touch? That’s where collaboration tools come in. Red pen is a lightweight tool which lets you upload a file and share it with clients and team members for feedback. You can ask colleagues and clients for feedback by giving them a private link, or inviting them via email. It very easy for designers to get feedback and approve artwork in a professional manner. Most projects can benefit from having a style guide. Using a design style guide ensures consistency throughout a project. Some style guides focus on specific topic areas such as graphic design, including typography. Website style guides cover a publication’s visual and technical aspects along with text. Frontify is a web design tool that helps designers create branding and style guides for their projects. The user can provide better documentation without wasting a lot of time on the process. An in-browser color picker is included along with an automatic color name proposal. What makes Frontify standout is that it is a place for itself by combining web design and development tools as well as a tidy, streamlined interface. Users can communicate quickly and gather valuable input easily. Iconfinder is basically an icon search engine that anyone can use for free. According to Iconfinder, it now hosts the worlds largest collection of premium icons. It provides millions of beautiful icons to web designers and developers. All the icons are available to download for free in SVG, PNG, AI, or CSH. It is also an online marketplace for buying and selling premium icons. Screensiz is very helpful to quickly find the screen specifications of the most popular devices and monitors currently on the market. Color selection can be one of the hardest parts of UX design, especially when you’ve just started. Adobe Color Wheel is an easy to use design tool. Upload a picture, you’re then given an accurate color palate. You can not only upload to the cloud, but can also pull your own themes, or themes created by others. This means that if you’re not feeling particularly inspired, you can have a look at themes that others have uploaded, pull one to your device, and adjust it to your tastes. The primary purpose of using tools is to help us work more efficiently, so the faster you can master it the better. I hope these design tools will be helpful to you. Furthermore, there are plenty of other UX tools available, which may also be of interest. Feel free to leave any comments below.